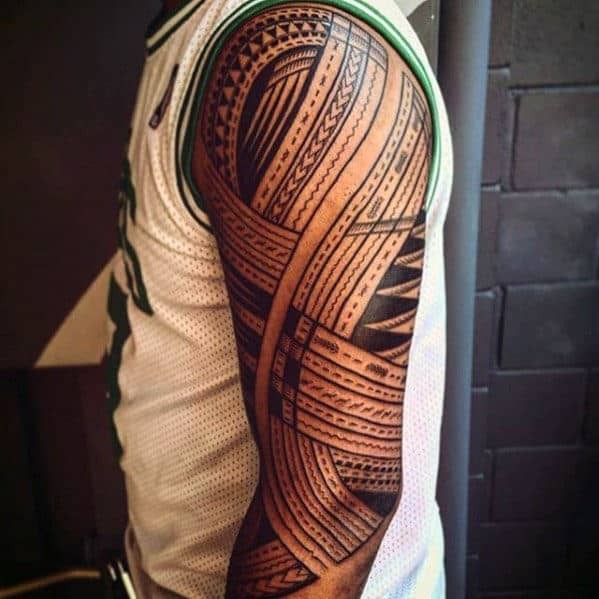 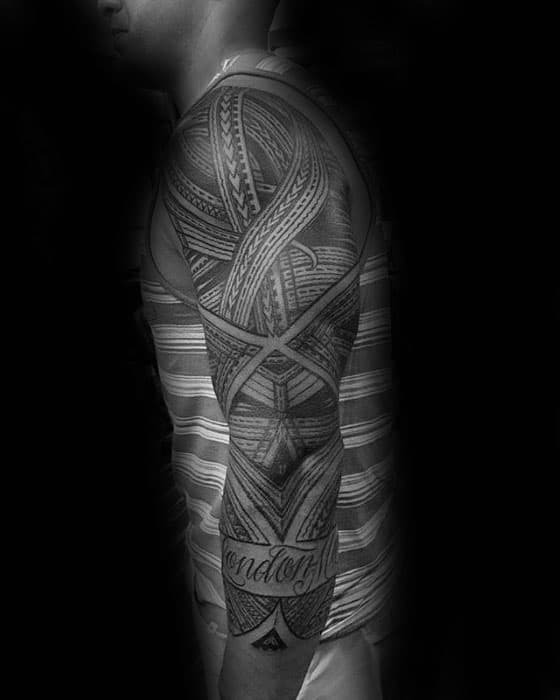 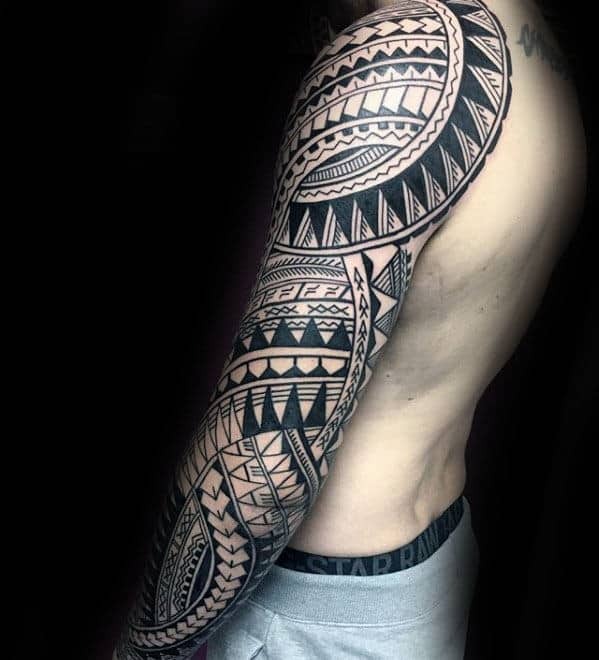 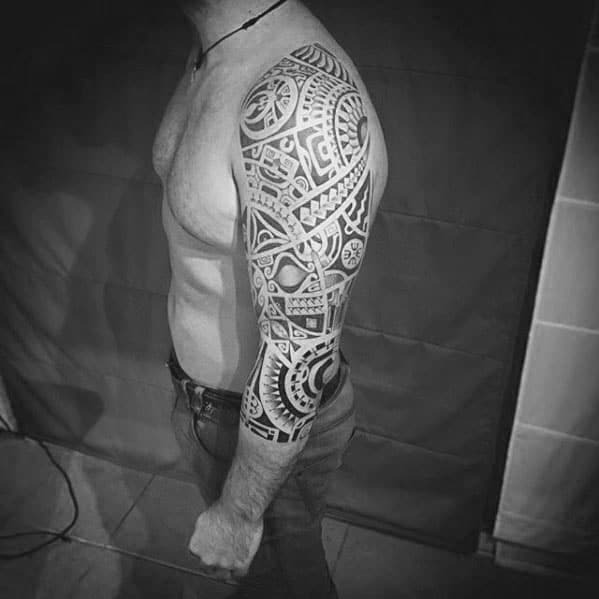 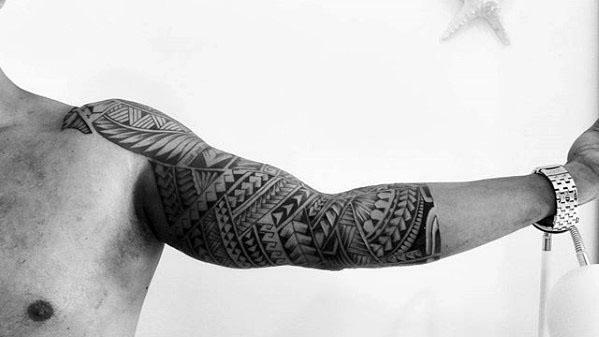 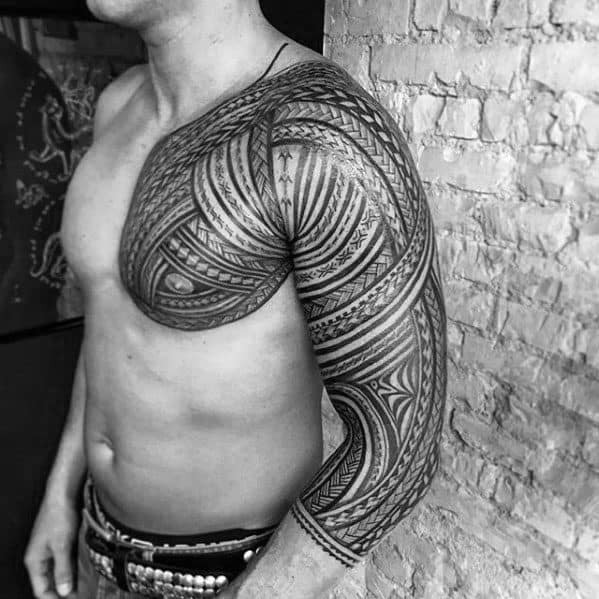 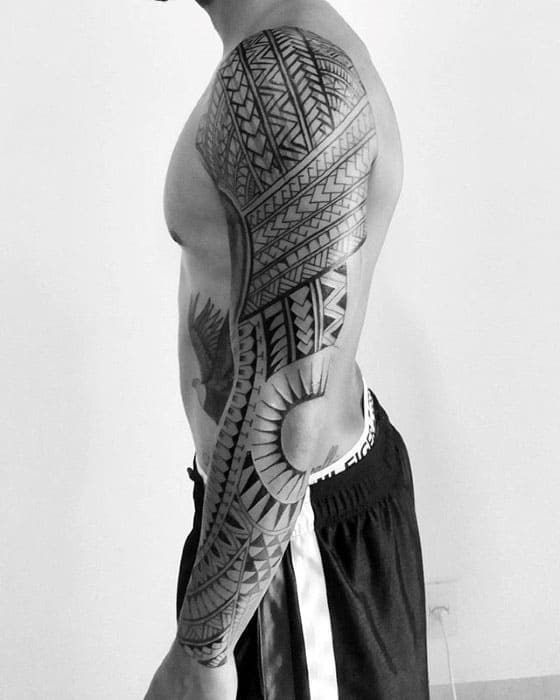 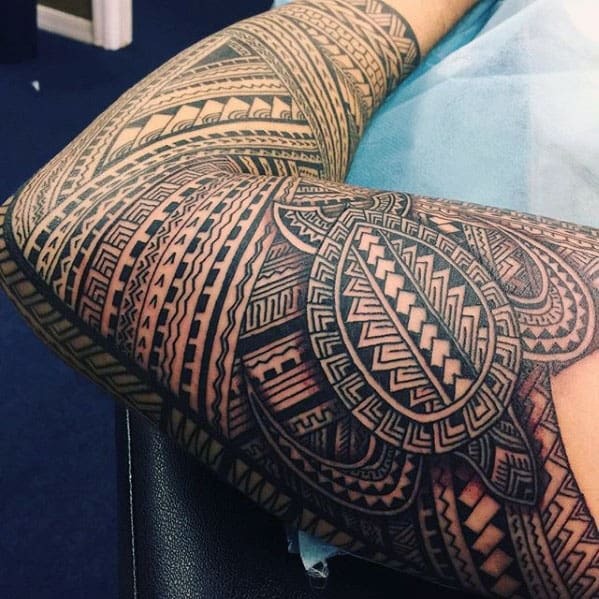 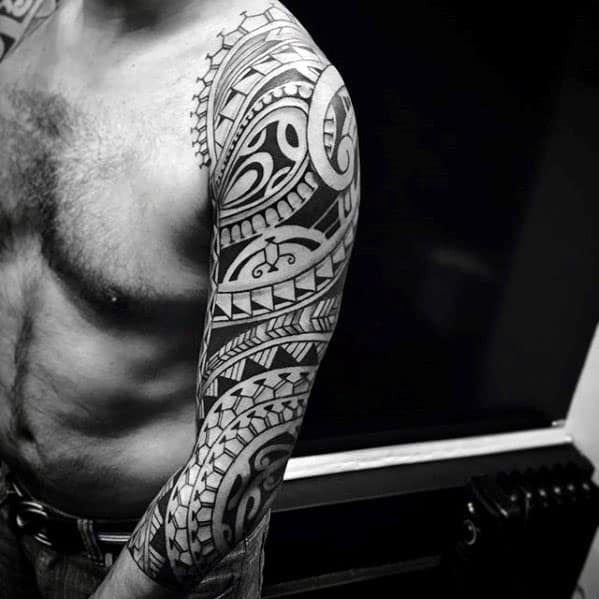 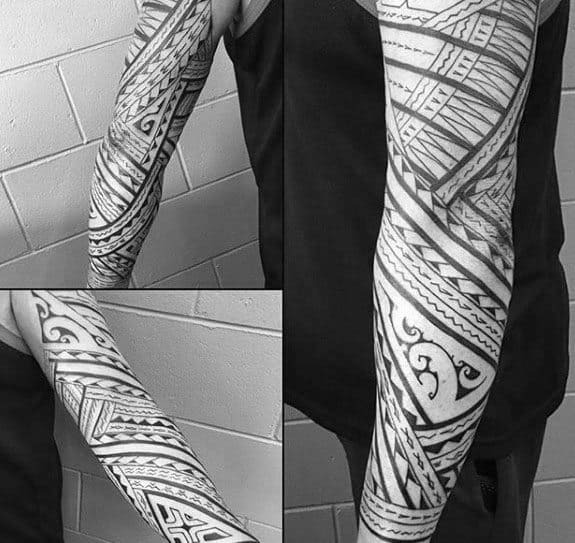 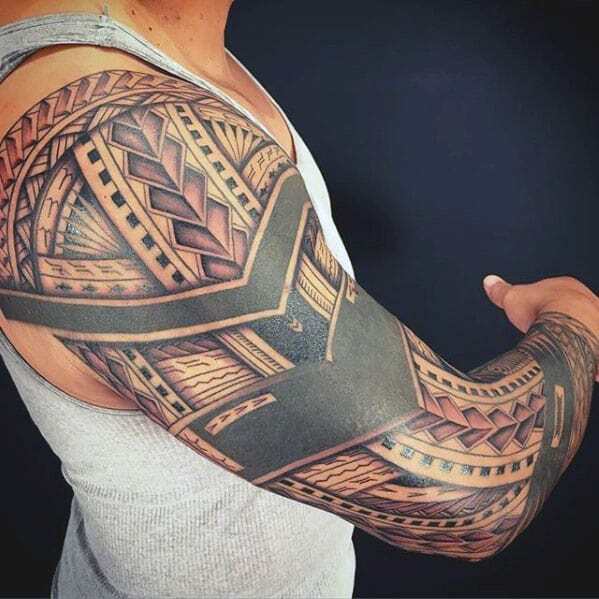 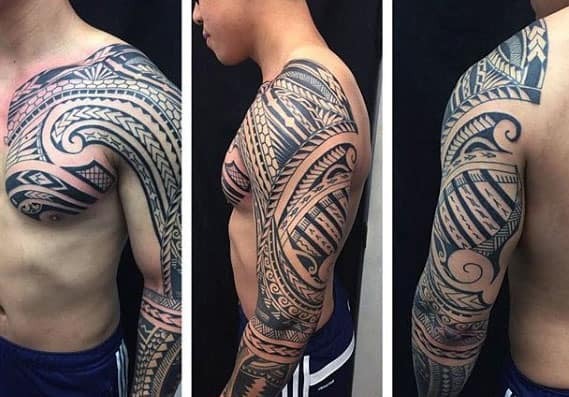 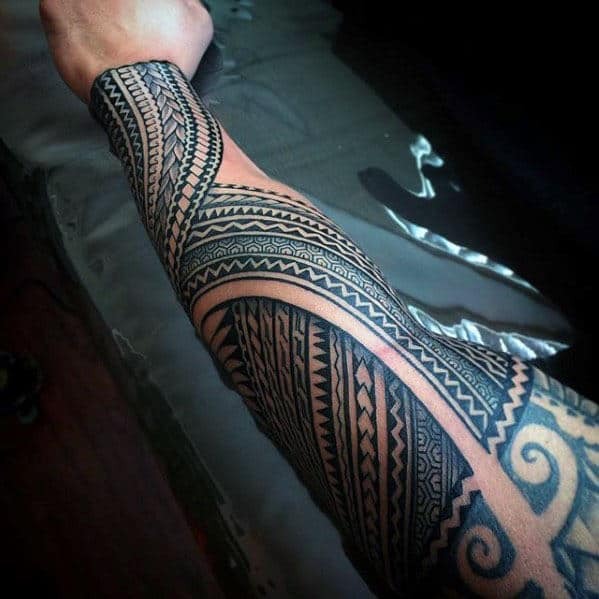 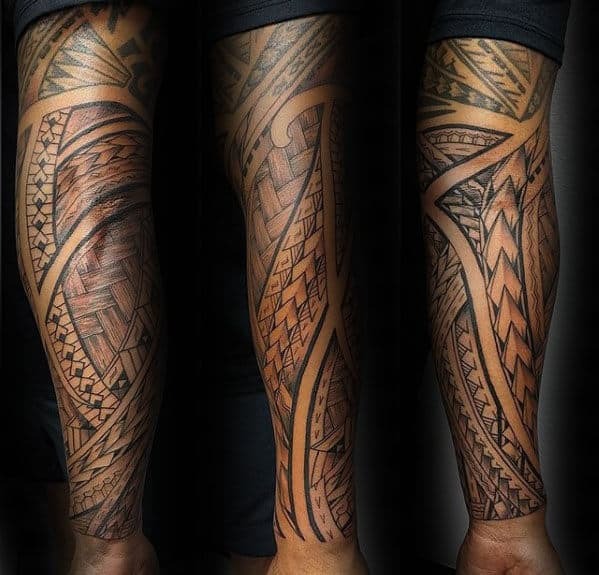 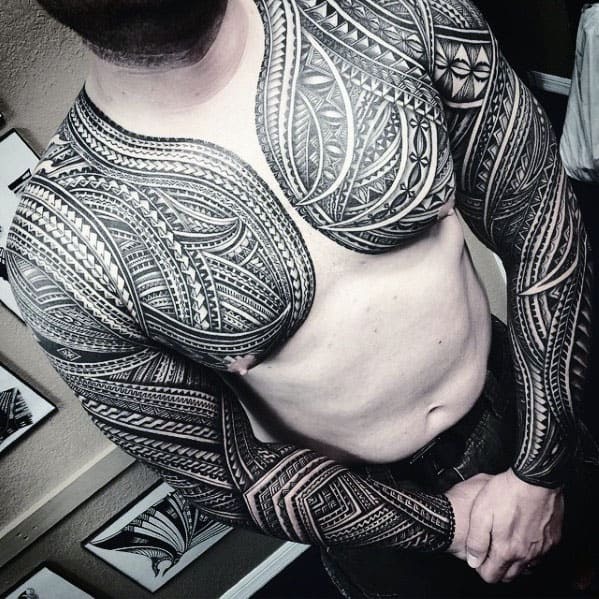 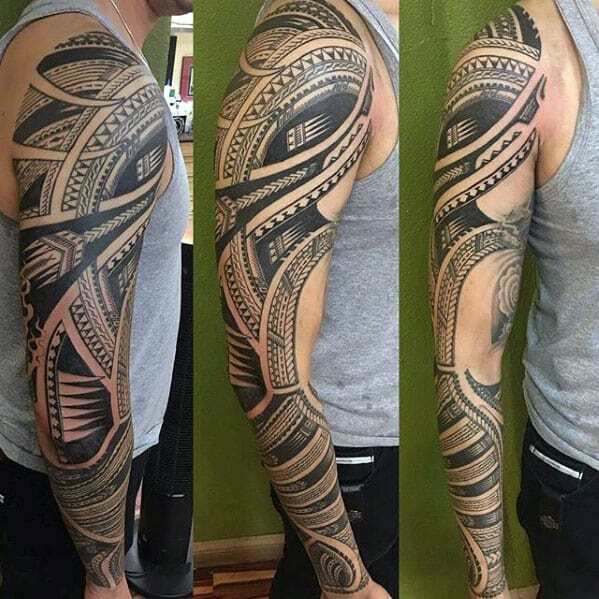 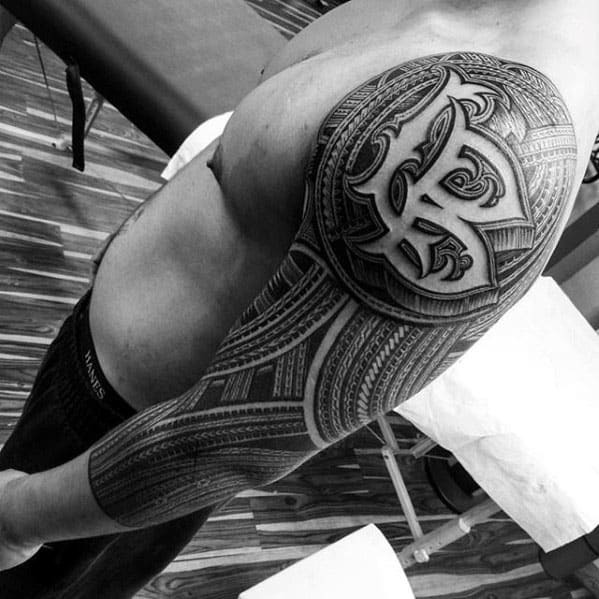 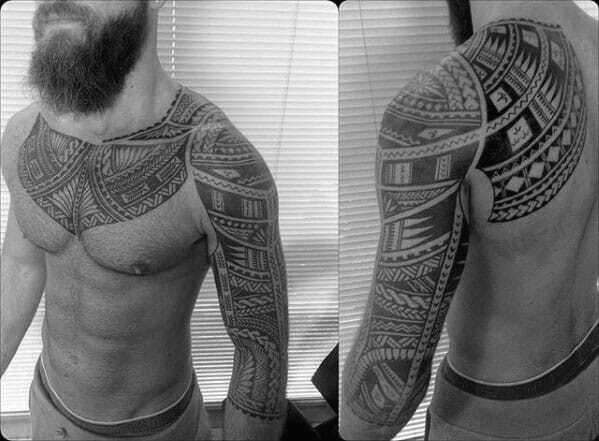 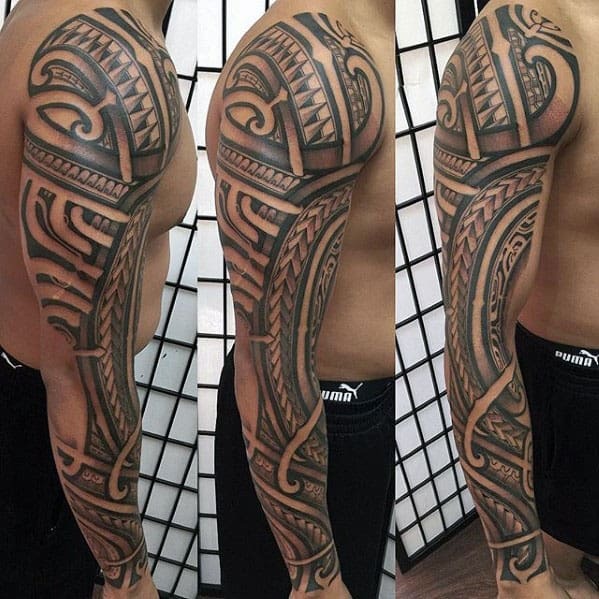 Unleash unlimited strength with a Polynesian sleeve tattoo. 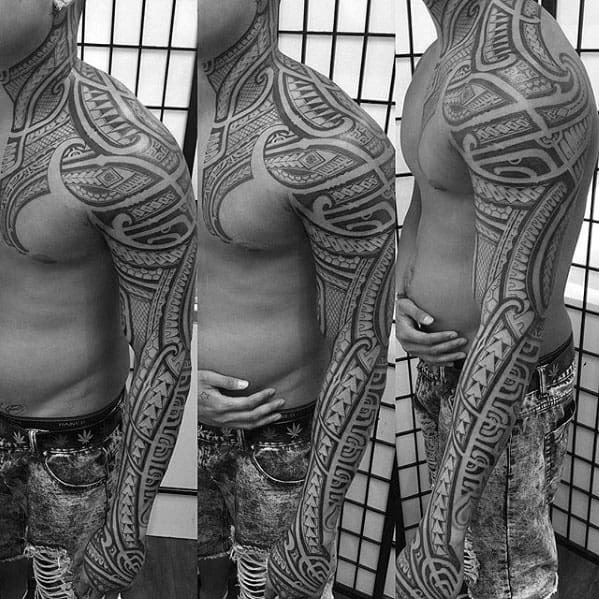 This Polynesian body art reveals potent inner power to all passersby. 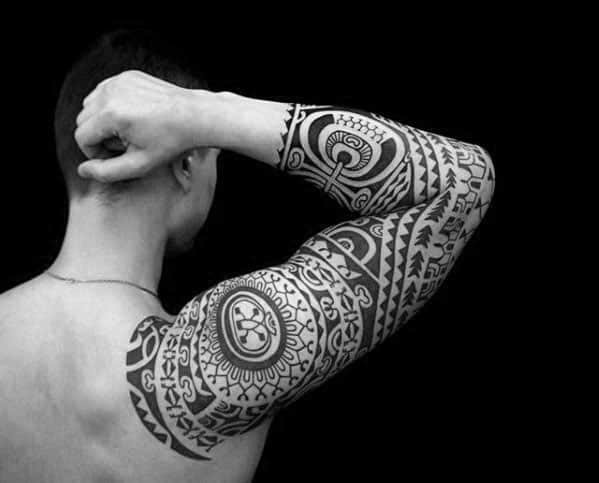 Steeped in amazing esoteric and centuries-old tradition, your tattoo sleeve is an excellent way to live well above average. 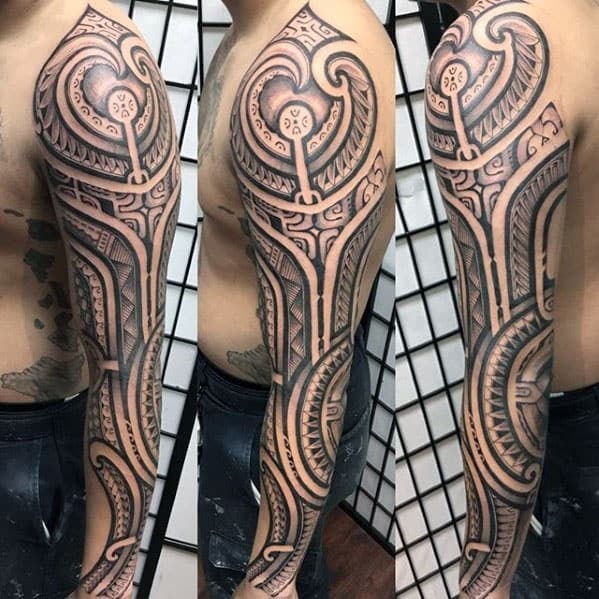 From traditional bold black ink patterns to cool moko symbols with multi-tiered meanings, escape the ordinary in body modification escapades with this islander body art. 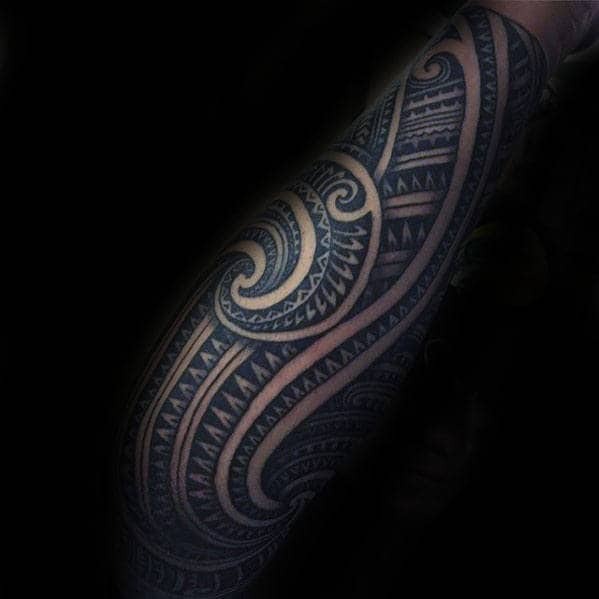 Whether Tahitian or Tongan in origin, these sensational sleeves offer an authentic look both original and omnipotent. 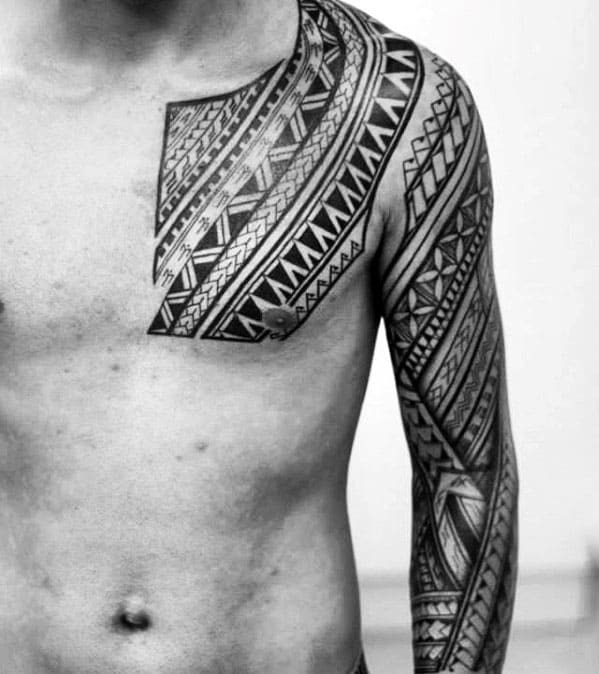 Polynesian and Tahitian body tattoos are among the oldest body art traditions in the entire world. 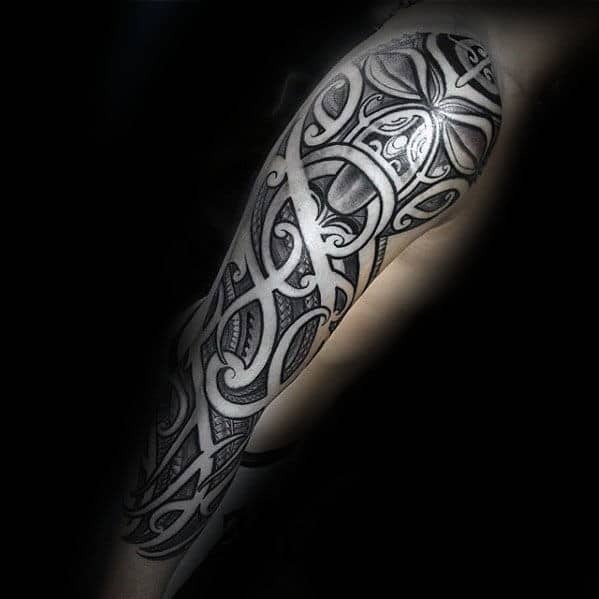 As such, your body paint sheaths the arm like a sensational second skin. 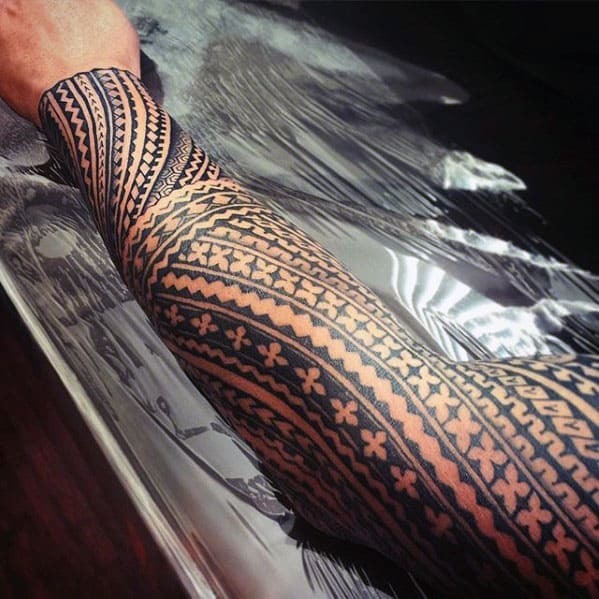 Nothing looks more natural in custom body modification than this high quality tradition. 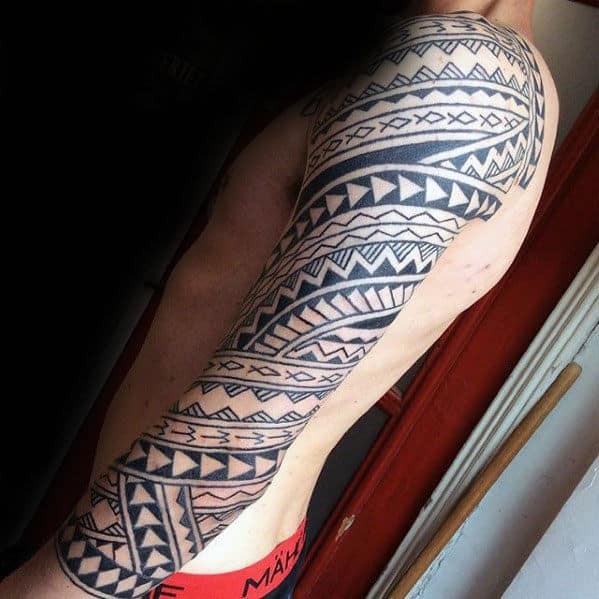 In traditional Polynesian culture, tribal body art represented a right of passage into manhood. 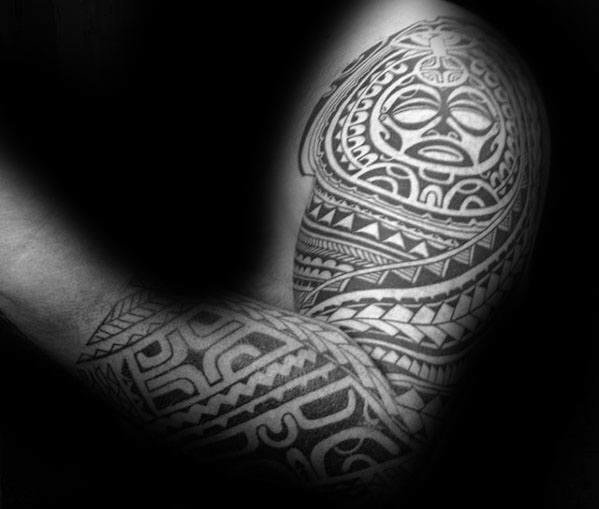 Specifically, many tribes used “tiki” or demi-god designs to denote their limitless power and potential in society. 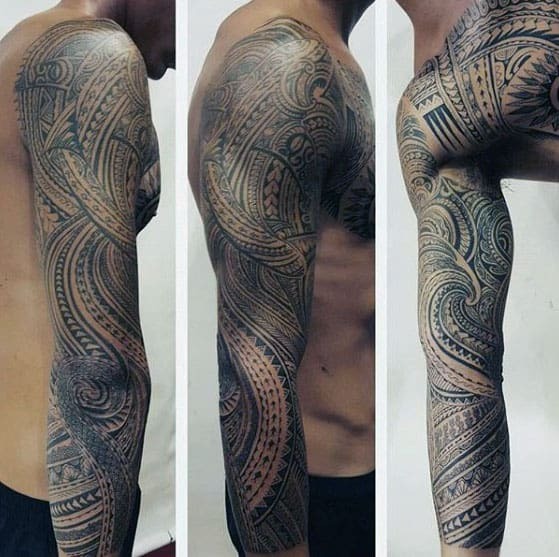 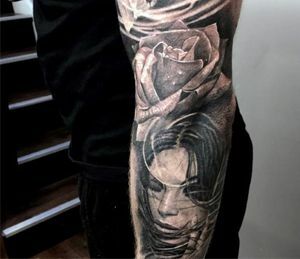 As a man’s significance grew, so did the length and intricacy of his ultimate arm sleeve. 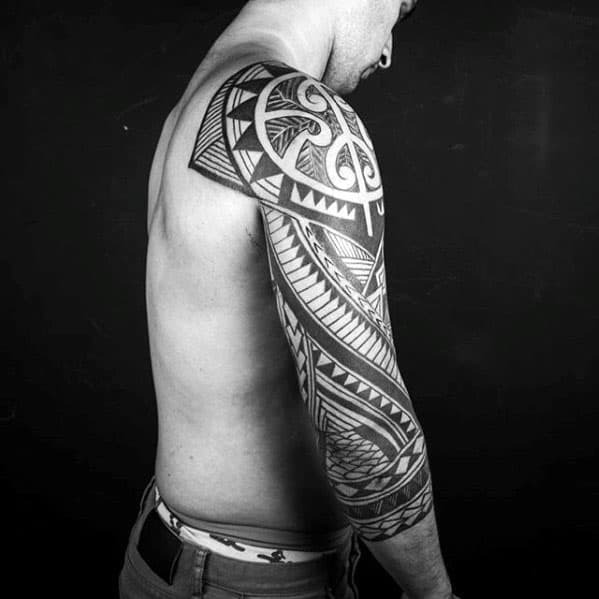 Your body art tattoo will function the same way. 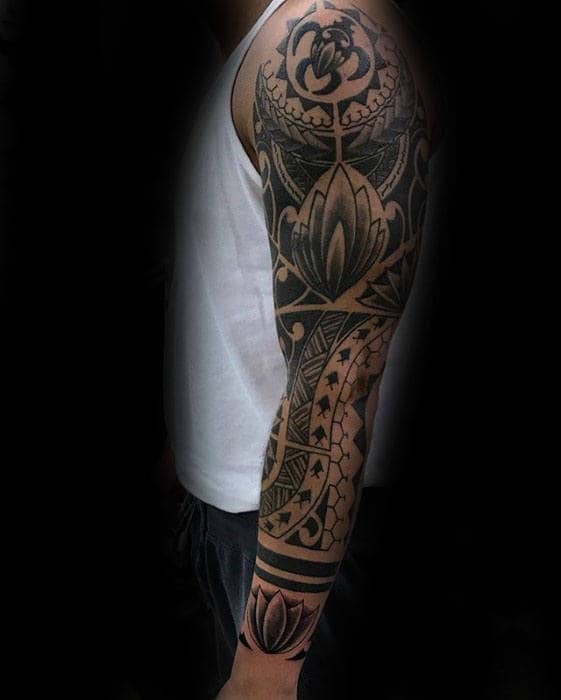 Explore the ancient tradition of initiation with the full arm sleeve tattoo. 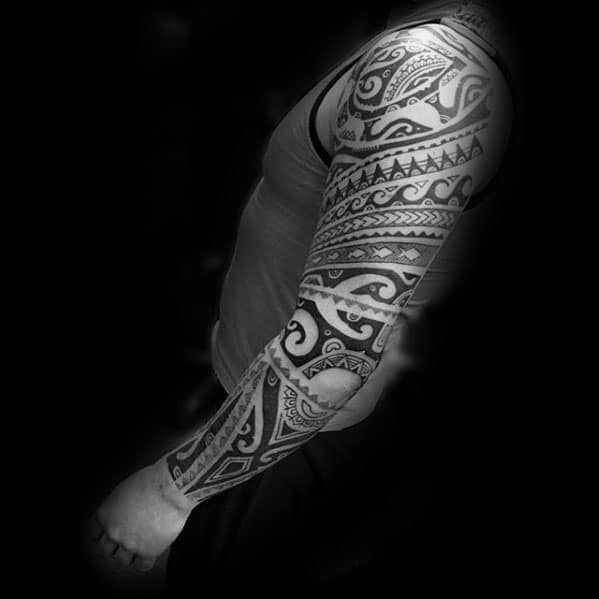 Like the oracle of the Oceania, Polynesian tattoos offer great opportunities for customization. 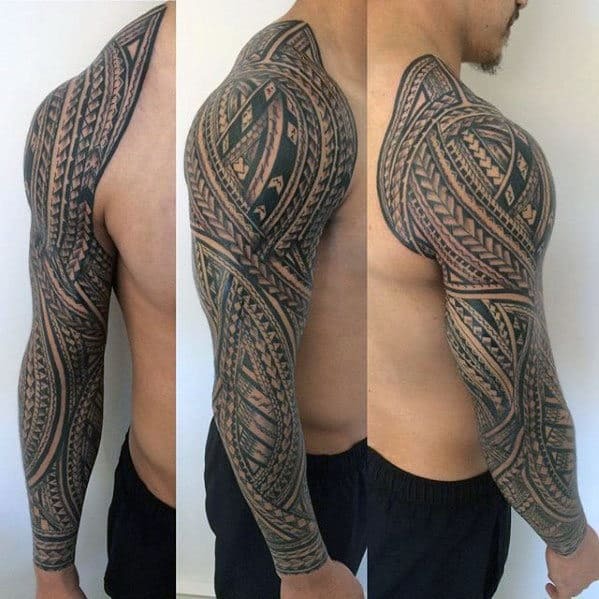 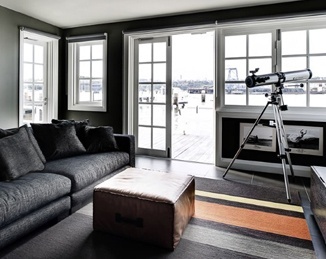 Use bold black lines to attest inner strength, or apply custom colors that look great on the skin and remain true to islander origins. 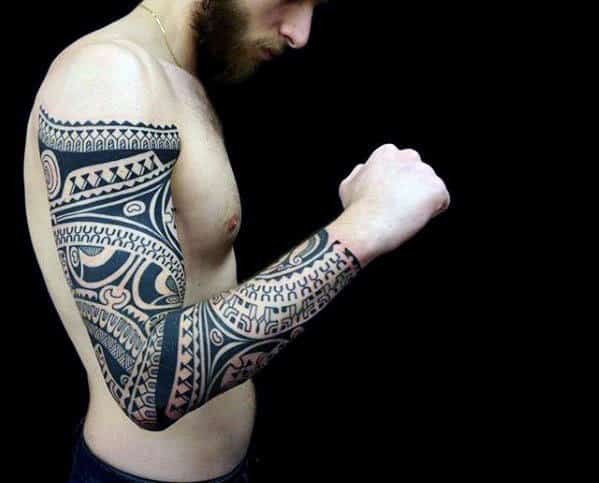 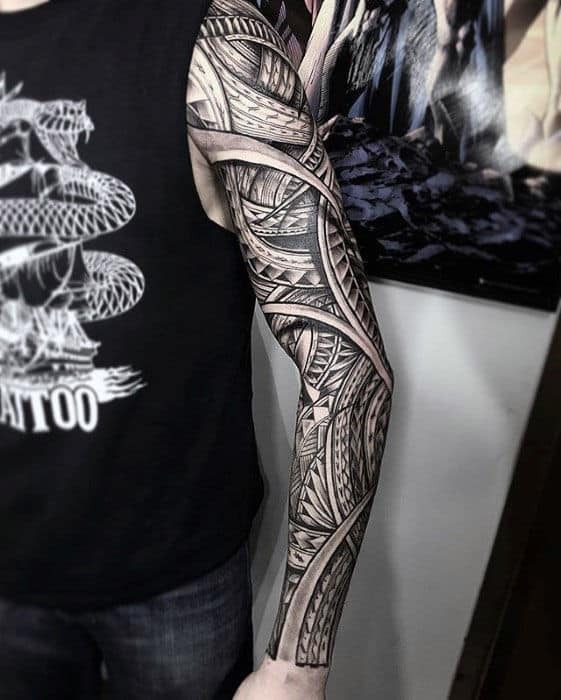 Tribal chieftains once used arm sleeves to regale onlookers with their victories, so reveal your renegade strength with a Polynesian arm sleeve.